There is nothing better than to round off a productive space or Astronomy lesson that to allow pupils to see some spacerocks at close quarters. The bad news is, they can be expensive for cash strapped schools to purchase. The good news it, thanks to our new scheme we are able to offer a rental scheme to schools. So rather than buy meteorites to show pupils which will sadly like end up in a cupboard all forgotten about after the first lesson. It is possible to rent them from OAS Academy. 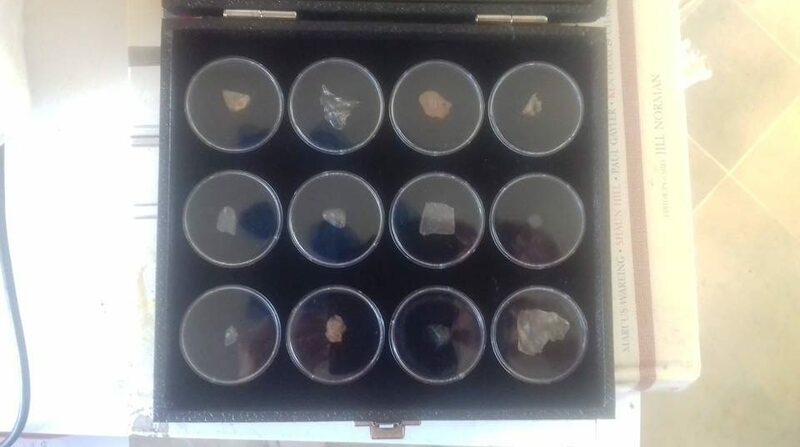 We have a nice presentation set with a nice representation of meteorites ranging from a fragment of rock that caused the great Arizona crater to a piece of that which slammed into the Russian city of Chelybinsk in 2013. Other meteorites can be provided that are not in the box we also offer reasonable deals on cheaper meteorites, like Campo Del Cielo. 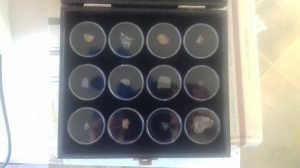 Due to the cost of replacement of these sets, we have to ask for a £200 refundable deposit which will only be return upon verification that all rocks are in tact and as they were. Rental is £30 a month (excl postage) from thereon. 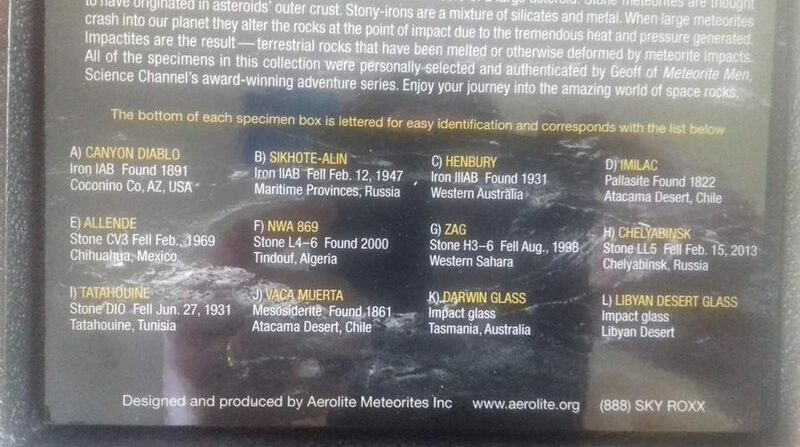 Please note, these sets originate from The Meteorite Men. No certificate of authentication will be sent with this (there is only one) but a copy of it can be provided on request. Please also feel free to ask us about Vesta, Lunar, and Martian rocks too!